This week, we attempt to elaborate on the expansive topic of 3D modelling using examples from a recent music video project. In medicine, to create and exhibit detailed models of organs and anatomy (the information used to build these is often gleaned from CT scans). The world of video games would not be the same without our favourite 3D characters, weapons, places and vehicles (all generally referred to as game assets). Models are used in the science sector to evince detailed models of chemical compounds, in architecture, to demonstrate proposed buildings and landscapes, and in engineering to authenticate designs of devices, structures or vehicles. At GLUE, if a client requires us to create a video or a 3D model, we can offer services whereby products can be modelled and composited in a product video (at the Industrial Design stage) before representing them to clients for production. 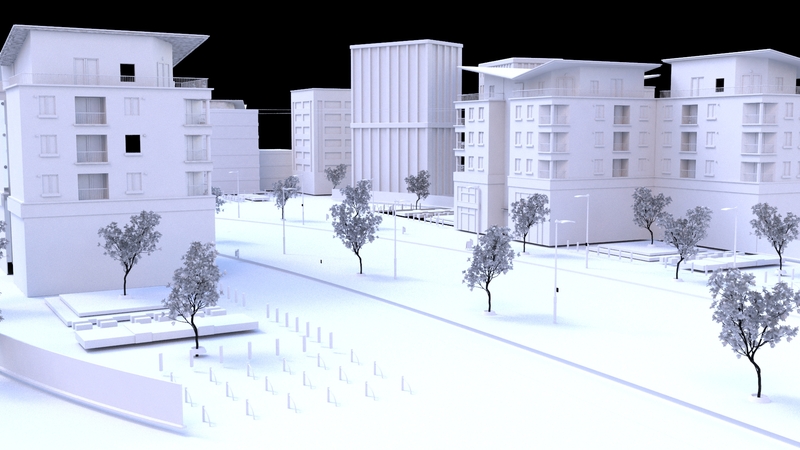 3D modelling – what is it? 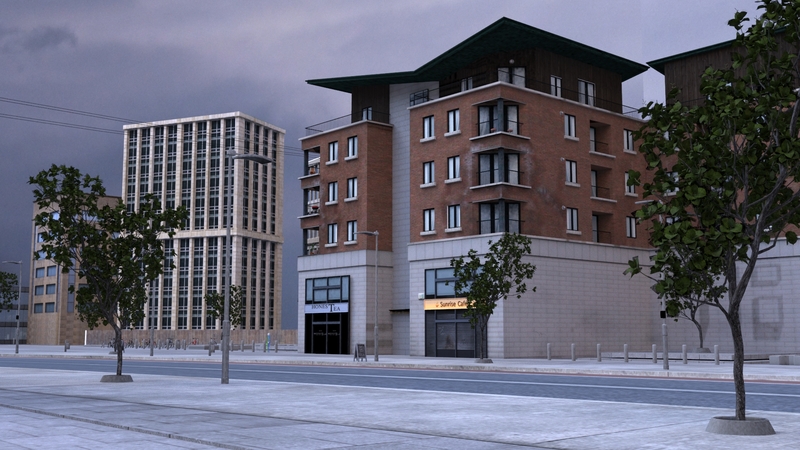 3D modelling is the process of producing a mathematical representation of any three-dimensional surface of an object using the appropriate software. In 3D space, individual points or vertices (verts) are plotted and connected by numerous geometric bodies such as line segments, or curved surfaces which combine to create triangles (tris), polygons or Ngons (multi-sided polygons). These faces combine further to create a wireframe structure of the model, known as a mesh. 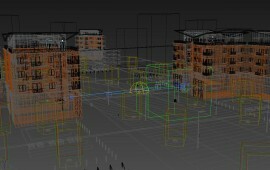 Most 3D meshes are textured, polygonal models which provide flexibility in manipulating and rendering. 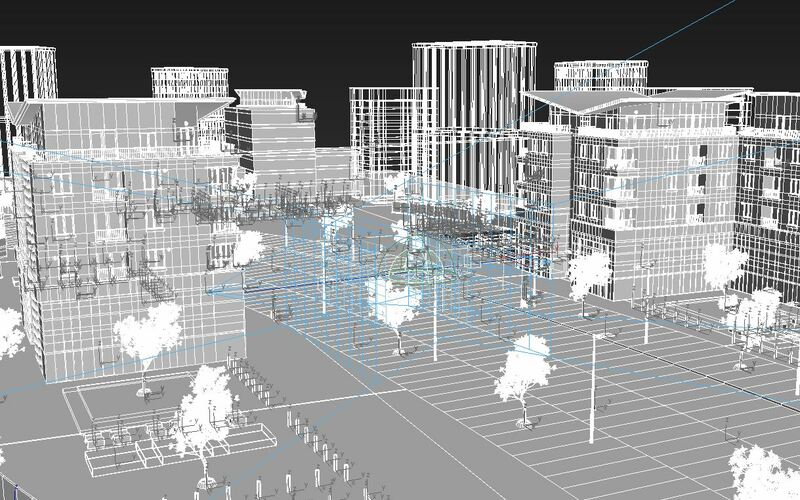 3D models may be created either manually, algorithmically (using Procedural Modelling); for example, when modelling organic scenes with trees and vegetation there may be almost infinite variation and complexity of growth that would be practically impossible to replicate. Procedural modelling uses recursive/fractal based algorithms to generate height, density, curl, etc, allowing the modeller greater control and variation through user-definable parameters in a shorter amount of time. 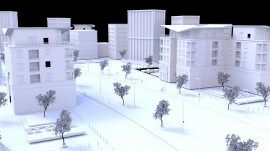 Models may also be scanned in the real world and later manipulated using 3D software (Geo Modelling or Image based modelling). The model can also be physically printed using 3D printing techniques. This phenomena has become commonplace in countries like America, where a person can visit their local supermarket franchise to be scanned in a photo booth and have a physical ornament of themselves recreated in miniature form within minutes! 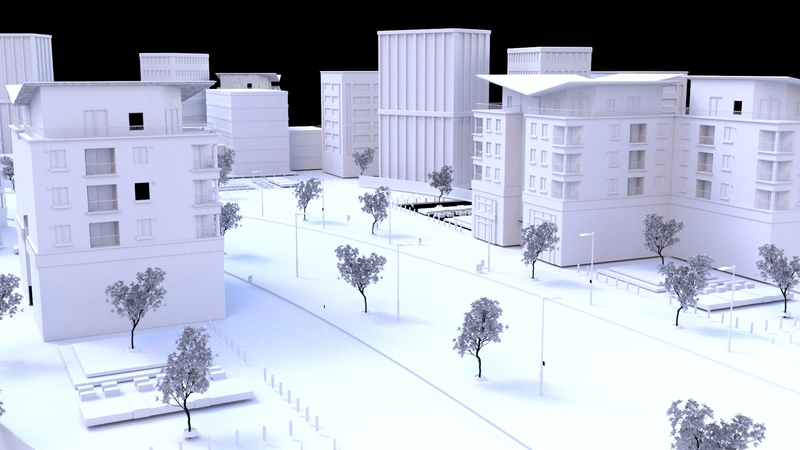 In our music video, it was necessary to construct a cityscape for compositing. Our main character in the video looks through a window to the outside world to see herself an image of herself being dragged away by a SWAT team. As the acting for this scene was filmed against a green screen, we had to build environment that the events unfold in, replicating the actual building from outside which the events occur. This involved great efforts at all stages; from concept and storyboarding/building an animatic, to previsualization, to asset creation and rendering. 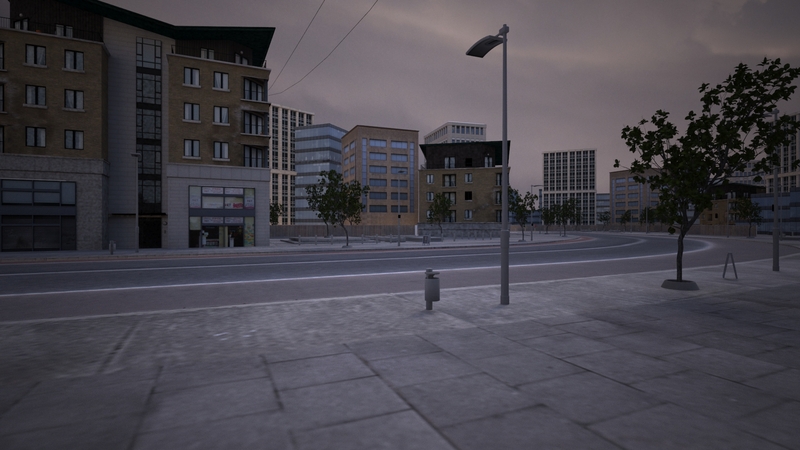 It was necessary to take the appropriate HDRIs from the location on the day of shooting inside the building, this lighting information would inform our scene and give it that authentic look when it came to the final render. Just as we have said before, watch this space – this video has demanded a gargantuan effort from all involved and we’re really proud of the results – we simply cannot wait to share the final edit with you in the coming weeks so that you may see all the hard work involved! 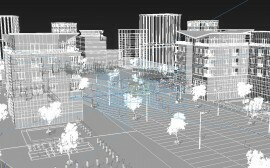 Every object visible in the scene (aside from the actors) is a textured, 3D model; from the largest of buildings, footpaths, roads and garden furniture, down to the smallest details; bicycle cogs, chains, scraps of paper used in particle systems (read further) as they are blown around the scene. Film modellers may have free reign in their polycount as opposed to say gaming. where the modeller may have to adhere to a strict ‘Bit Budget’ or limitations may be placed on the amount of information/number of polygons rendered within the game engine. 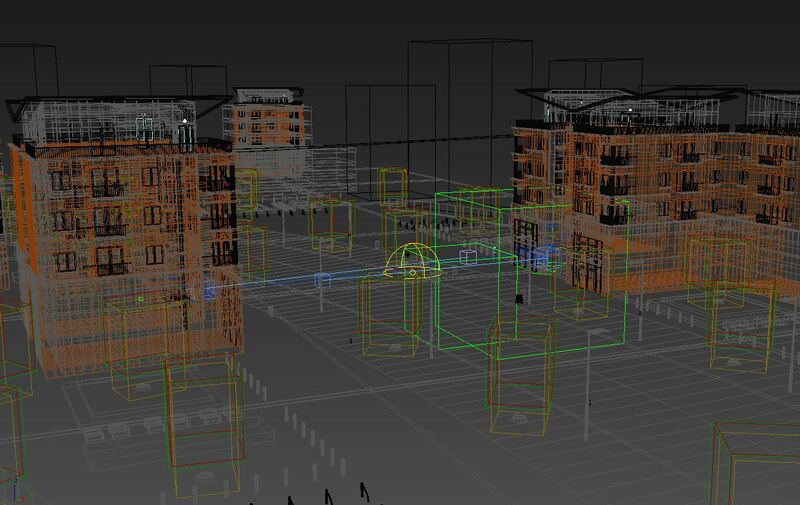 There are options available here to the modeller, most notably in the form of Normal Maps which project the high polygon detail onto a low polygon model. We will cover more on normal maps at a later date. When modelling for film, it is necessary to achieve the right balance of production speed, and quality of image. 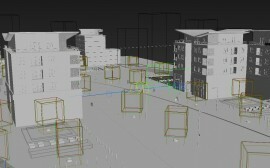 Box/Subdivision modelling is a modelling technique in which the artist starts with a geometric primitive, refining it’s shape until the desired model is completed. Probably the most common form of polygonal modelling, box modelling is often used in conjunction with Edge modelling, where a model is built incrementally by placing loops of polygonal faces along contours, and then building the necessary geometry between them. Spline modelling or NURBS is a modelling technique comprising of smoothly interpreted surfaces, created by “lofting” a mesh between two or more Bezier curves (also known as splines). Depending on a particular film studio’s pipeline, a 3D modeller’s job may be just to simply create the basic model and not necessarily to texture or render the finished model. The limitations involving how models are created for movies and film are the same standard factors for any project; Time or speed of delivery, the overall level of Quality, and the actual cost involved. Each factor has a bearing on the other. Almost all 3D models can be divided into two simple categories. Solid models, which define the volume of the object they represent. These are more realistic, but more difficult to build. Solid models are mostly used for non-visual simulations (engineering simulations, specialized visual applications, etc). Shell models, which represent the surface or boundary points of an object, not its volume. Shell models are generally easier to manipulate than Solid models and are the preferred choice of model in games and film. Intricate elements or materials such as liquid sprays, clouds, or flocking birds are modelled using complex Particle Systems. These particle systems are a mass of 3D coordinates which can have points, polygons, or sprites assigned to them. In our music video, we have numerous examples of particle systems, which we will show in greater detail soon. Amongst the advantages of mesh or wire-frame 3D modelling over 2D methods include greater flexibility and the ability to alter perspective or animate images with quicker rendering of the changes, as well as smoother ease of rendering and achieving more accurate photorealism. Typically at GLUE, when given a project we endeavour to provide our customers with custom, bespoke models which are tailored specifically to suit and promote your business.